Pioneers in the industry, we offer insulated panels, mgo eps sandwich panel, structured insulated panel with lgs interlocking, xps sandwich panel, eps sandwich panels and mgo hollow panels from India. Sandwich panels consist of an insulating EPS/XPS core sandwiched between two structural facing layer of MgO board( Wonder Boards™). SIPs are manufactured under factory controlled conditions and can be fabricated to fit nearly any building design. The result is a building system that is extremely strong, energy efficient and cost effective. Building with SIPs will save you time, money and labor. Widely applied in common steel structure, prefabricated house, cold storage, warehouses etc, which comes from industrial plants, commercial buildings, hospitals and so on. 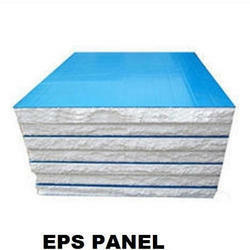 Leveraging our rich industry experience, we have come up with MgO EPS Sandwich Panel for our valuable customers. The offered panels are designed keeping in mind the exact requirements of the customers and are much appreciated by the customers. Owing to their sturdiness and weatherproof property, these panels are highly demanded by the customers. MgO EPS wall panels are made with combination of MgO board & EPS sheet.It includes an insulating layer of EPS rigid sheet sandwiched between two layers of Wonder boards™(MgO board).EPS wall panels are light-weight construction material with excellent insulation properties. These panels reduce overall cost of construction. It has long life and requires low maintenance cost. 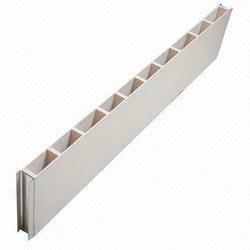 MgO EPS panels can reduce sound intensity upto 65db, depends upon thickness of wall boards/panels. 1. Waterproof, fireproof, sound resistance etc. 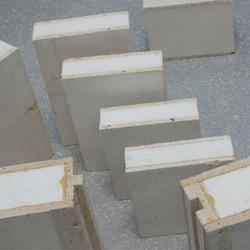 MgO XPS wall panels consist of an insulating XPS core sandwiched between two skin layer of MgO board( Wonder Boards™). This product has excellent insulation properties. Wonder Boards™ also deals in textured MgO XPS Panels. We can customise sandwich panels as per requisites. Delivery Time: As per the order. 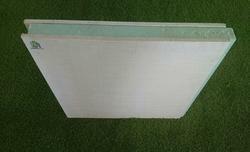 We are manufacturer of MgO hollow panels. MgO hollow panels have excellent fire proofing capabilities.It does not burn.It is water resistant. These panels are readymade walls. MgO hollow panels reduce the cost of any project in terms of labour, time etc.It is cost effective and economic. MgO hollow panels can be used for commercial, residential,industrial projects.